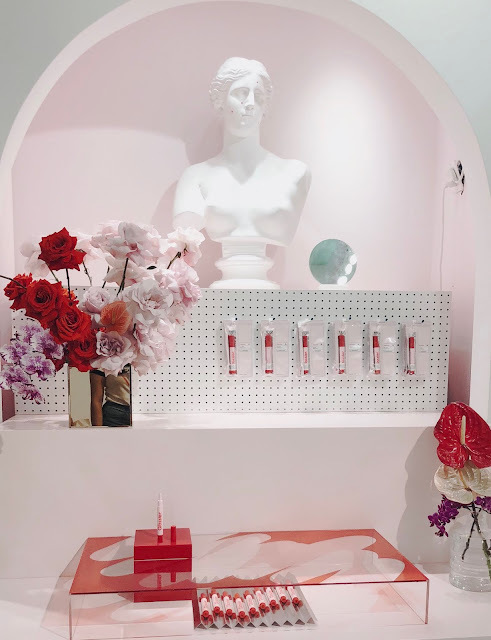 Here's my first visit at the Glossier showroom in NYC. This is also my first time to purchase a Glossier product. I've been planning on getting the cloud paint (blush) and lip gloss for weeks now and finally got to visit the showroom. When I entered the building, there were 2 friendly staff who welcomed us and guided us to the elevator leading to the penthouse where the showroom was. I tried a few products then checked out. The staff were all nice and helpful. They just misspelled my name on the bag. 😬 But, I still love you, Glossier! Had to shop with my brother, I accompanied him to his ENT doctor that day. I'm like his second mom when our parents are both busy. 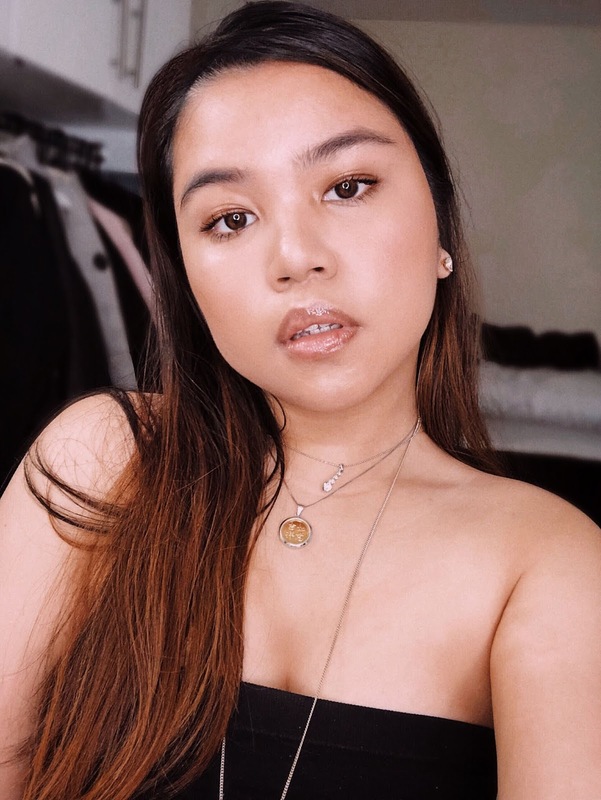 To end this blog post, here's a photo of myself wearing the lip gloss. I like it so much! It's not sticky, it doesn't have a smell, and I love the wet lips look.